I’m beginning to get back into book readings, and this is a blog to keep track of it. This is the first title I’ve picked up this month. All my reviews will be littered with spoilers! If there’s one story I can’t get enough retellings of, it’s 1001 nights. The tale has captured my imagination ever since my first encounter with the story: a manga I read when I was about 6 years old, like the Sultan, I was entranced with Scheherazade and her stories. In high school, I read a manwha adaptation of the story which I also adored despite its faults. However, my favourite reincarnation of the story belongs to Catherynne Valente’s Orphan’s Tale Duology (which I highly recommend to all those who haven’t read it: lyrical prose, strong feminist flair, and a masterfully woven narrative).Thus I approached The Wrath and the Dawn with some trepidations, as I had such high hopes just based on the source material. This book follows Shahrzad, who volunteered as tribute to be the Caliph’s bride despite knowing that he executes his new wife every dawn. Why? She wants revenge for her best friend, Shiva, who died at the Caliph’s hand a while back. However, her quest for vengeance brings her closer to the Caliph than she could ever imagine, childhood love be damned. The book is decidedly more romance-oriented than previous versions of the stories I’ve encountered, as expected of the YA genre. I don’t mean this in a negative way, I love romance and it’s why I still have not strayed from YA! I thought the relationship building between Shahrzad and Caliph Khalid was quite magnetic in the beginning, the characters had a lot of chemistry from the get-go. I also enjoyed that they slowly learned about each other and formed a bond slowly, rather than falling into the instalove trope that plagues YA. However, I found how quickly Shahrzad abandons her original quest hard to swallow. While Shahrzad’s relationship with Khalid was quite well-written, I found her other relationships lacklustre. I wish we could see genuine connections between her and her father, sister, Shiva or Tariq. This would have added an extra dimension to her dilemma, torn as she was between her family/friends and her husband, later on in the book. Due to this, I thought the book lacked that emotional punch towards the end. Shahrzad as a character was just…OK. For a girl lauded by all those around her to be mysterious, impulsive, sharp and unpredictable – she did not live up to expectations. Aside from offering a couple of ‘witty’ retorts and shooting a couple of arrows, she doesn’t achieve much in the book. In fact, she spends half the book worrying about whether Khalid cared for her. I like my characters to be more proactive in driving along the plot, but our heroine was more talk than walk. I understand that she was trapped in a position of little power, and her passiveness would not have so irksome if I did not have to keep hearing about how amazing she is. If possible, our hero was even more passive, especially infuriating as he was the ‘King of Kings’. The book was apparently based on the ancient Persian empire. My limited knowledge on the subject meant that I have no idea whether the things depicted were accurate or not. However. the author did paint a beautiful and lush landscape for her story to come alive in. Admittedly, after the read, I wanted to run off and watch a whole bunch of historical Bollywood movies. Finally, the stories that Shahrzad’s tell Khalid were decidedly unengaging, I’m not sure how she managed to avoid death in those first nights. Though these stories were boring, they took up quite a bit of page count and felt like fillers. This is a great shame as the main draw of the source material was in the power of these stories. 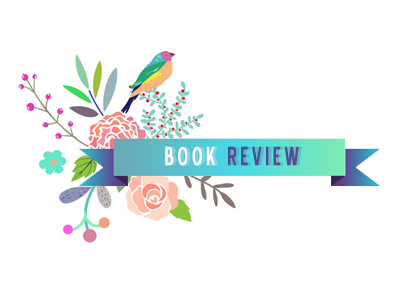 OVERALL: I enjoyed my reading experience despite some flaws, mainly due to my inability to truly connect with the heroine and her dilemma. It’s definitely not the best reimagining of 1001 nights out there (seriously, go and read Orphan’s Tales!) 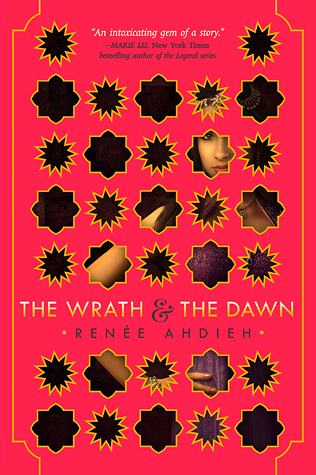 However, The Wrath and the Dawn is a light, quick read with a romance that will make you swoon a little. I will still eagerly pick up the sequel when it comes out next year.